The Vice-President, Yemi Osinbajo on Monday met behind closed door with Ali Ndume at the Presidential Villa, Abuja. The Senator arrived at the villa at about 3:20 pm and went straight to the Vice-President’s Office for the meeting. The Newsroom, however, learnt that it was not unconnected with the forthcoming election of a new leadership for the ninth National Assembly (NASS). The National Leadership of the ruling All Progressives Congress, APC, had earlier enjoined all APC members-elect in the National Assembly to support the party’s choice Candidates for the leadership positions. The party has endorsed the Candidature of Ahmed Lawan for the seat of Senate President and Femi Gbajabiamila for the position of Speaker of the House Representatives. 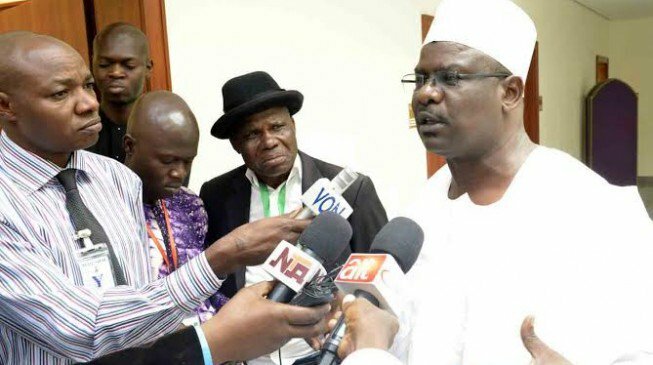 But Ndume has continued to insist on contesting for the seat of Senate President.